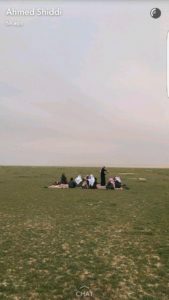 This is the middle of the desert  in Saudi Arabia after abundant rain fell on it. Look how Allah gives life to dead land! Indeed Allah can give life to dead hearts too!